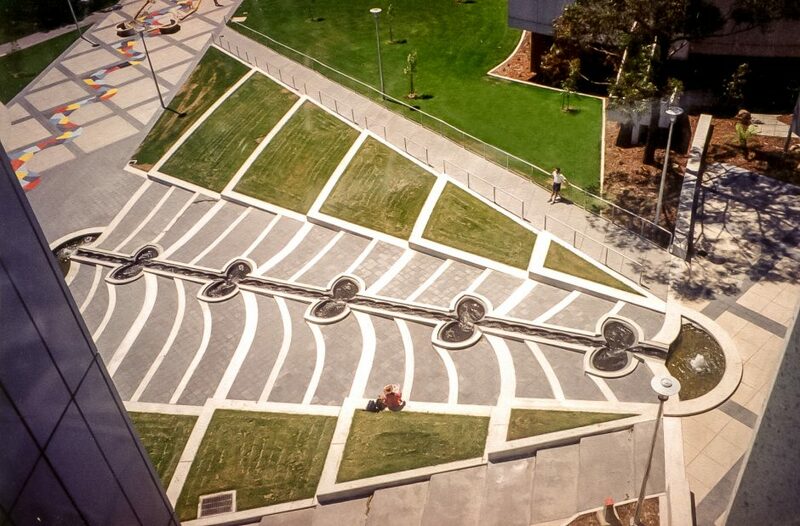 Winner of 1998 Landscape Architect Institute National Award. 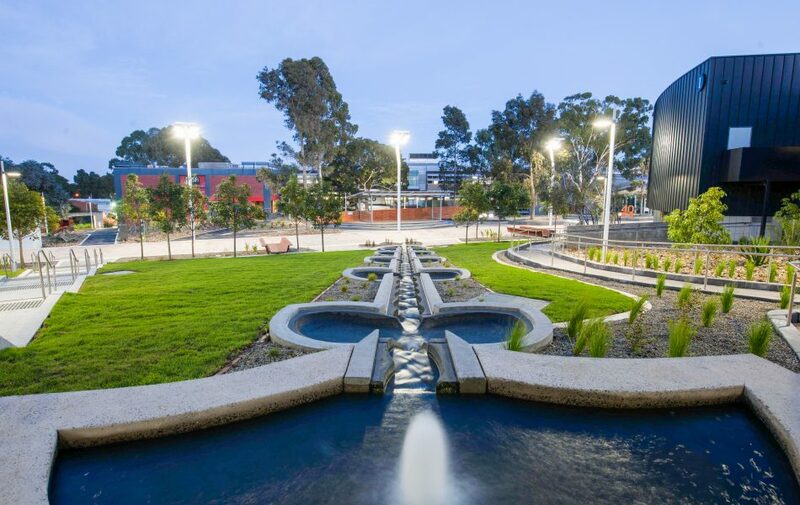 The water cascade is a central feature of the campus with our design integrated into Tract Landscape Architecture’s overall campus plan. BJA designed the water cascade as part of the winning competition entry. 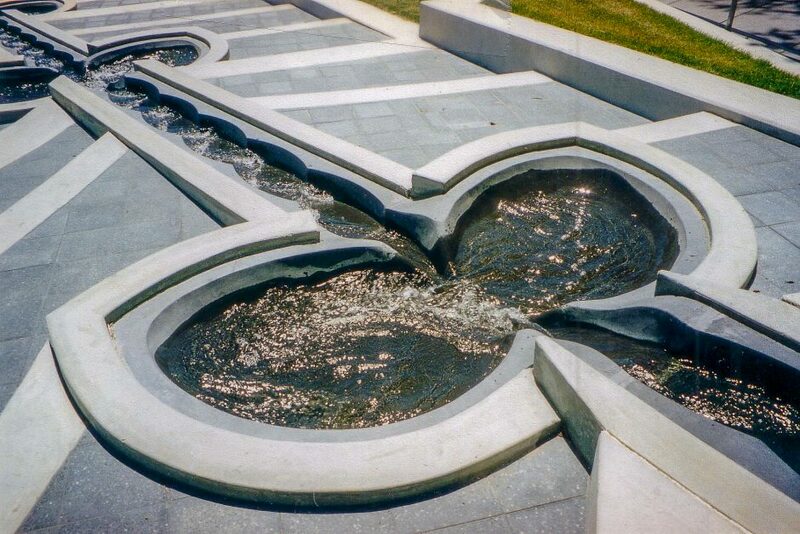 Full-scale clay prototypes were sculpted by Guy Walker and Mark Baxter to ensure the Flowform basins generated the signature rhythmical figure of eight flow movements. Interconnecting straight rills add to the water play. 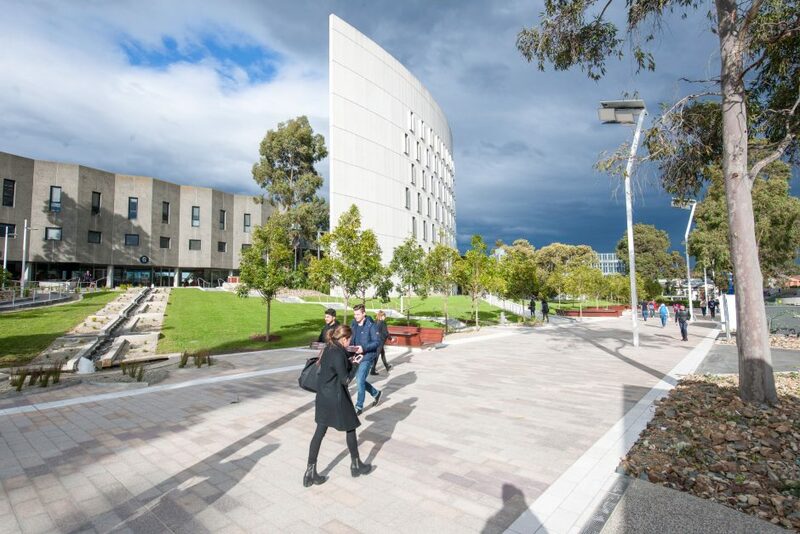 A major campus redesign in 2015 by Rush Wright retained the Flowform cascade as a centrepiece within a redesigned softer landscape.